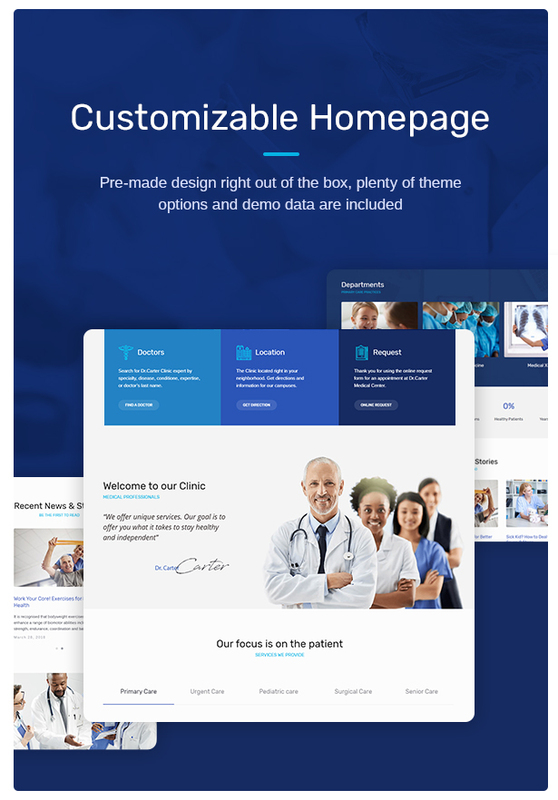 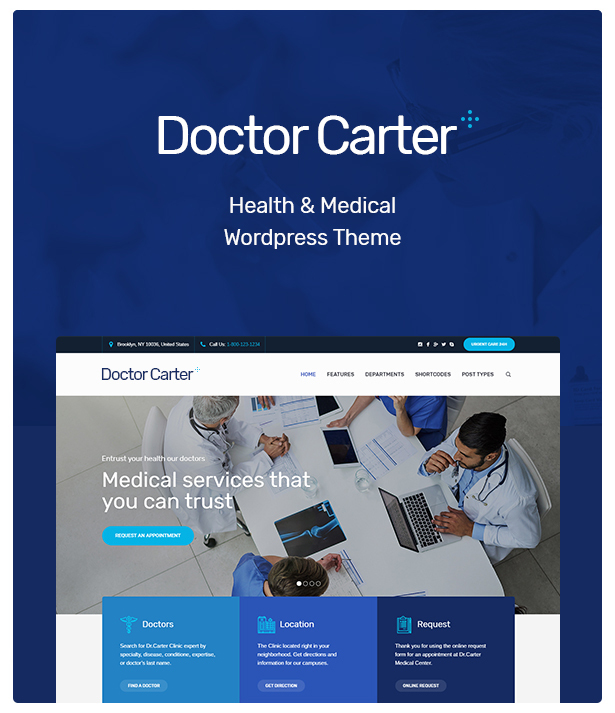 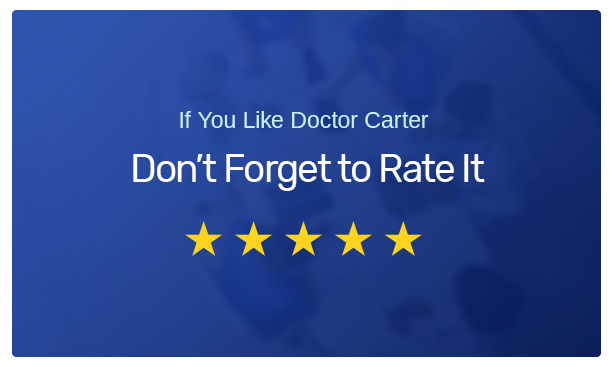 Doctor Carter theme is created for medical websites. 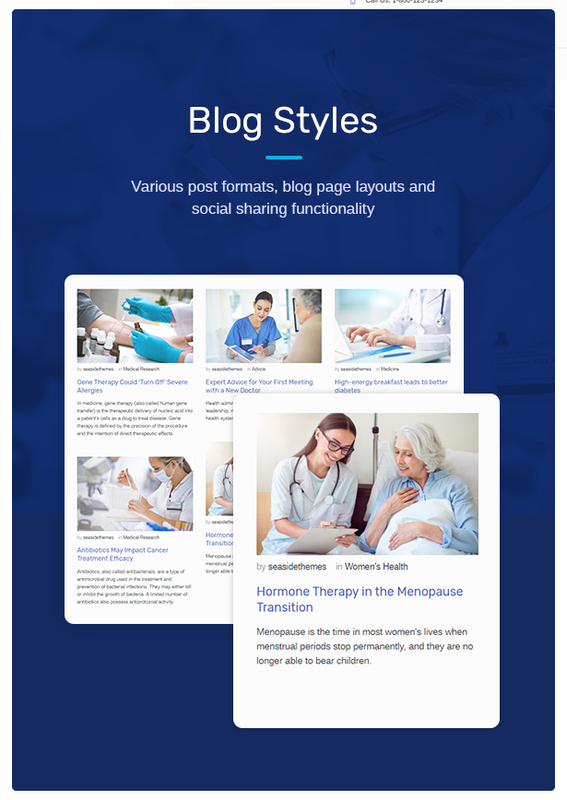 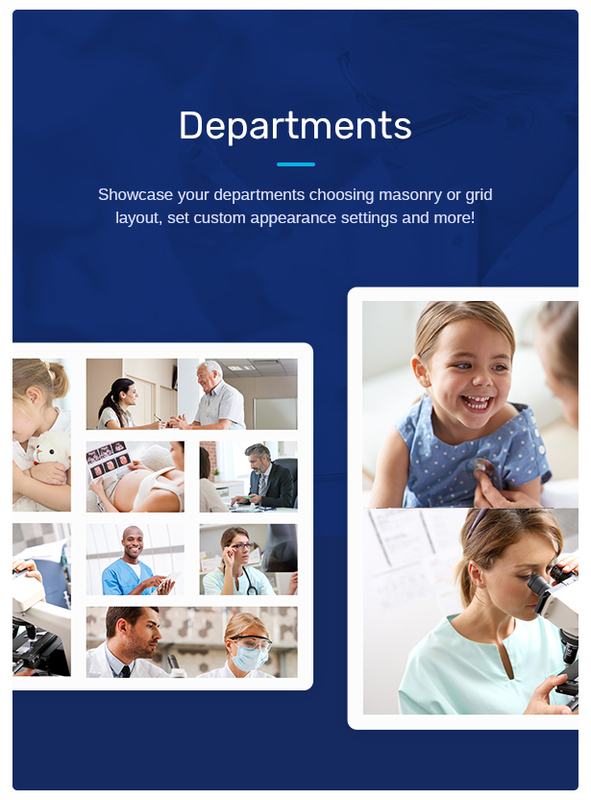 It is a health theme for private doctor offices and hospital websites, for small clinics, like pediatric, dental, gynecology or general therapist clinics, family doctors and ambulance. 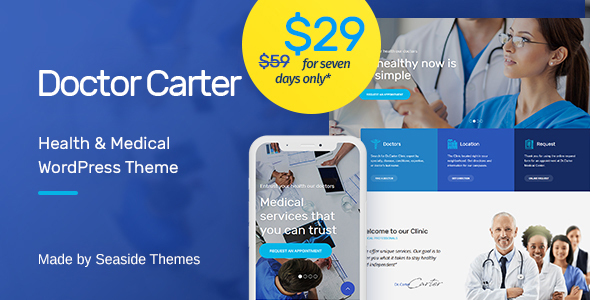 Any functionality a medical website needs is provided – Doctor Carter theme is a one-stop solution for any clinic or hospital website. 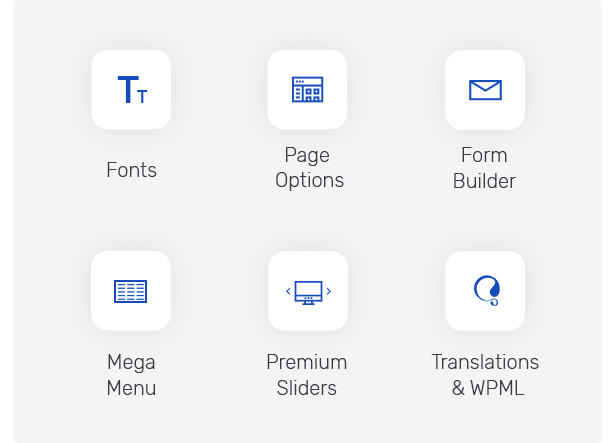 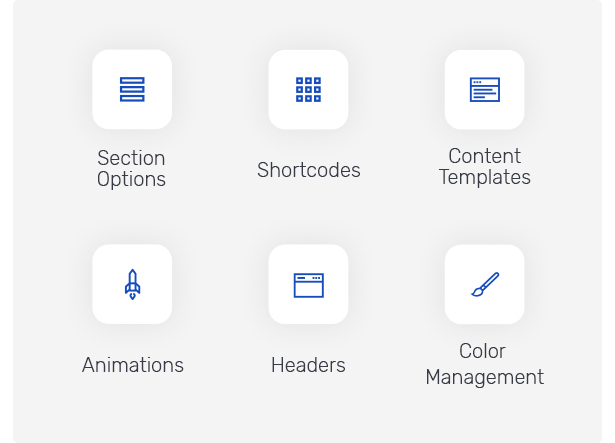 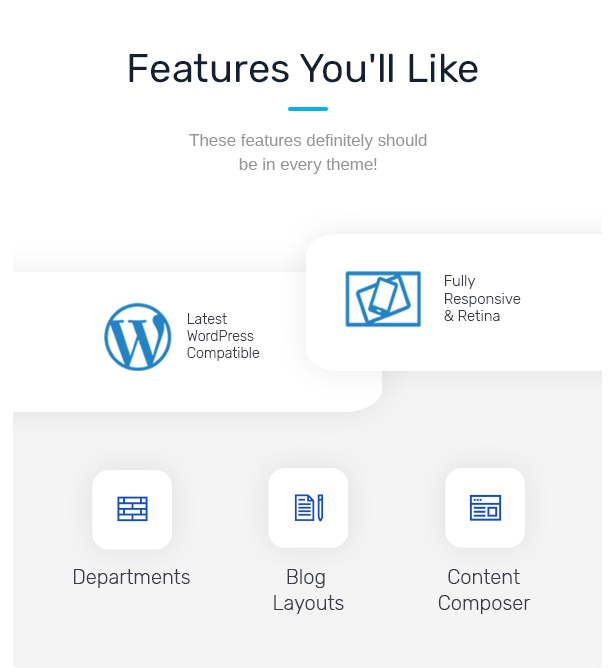 The theme is perfectly simple in use, you can easily switch between liquid and boxed layout, choose header configuration, manage multiple theme colors and even create a one-page website!